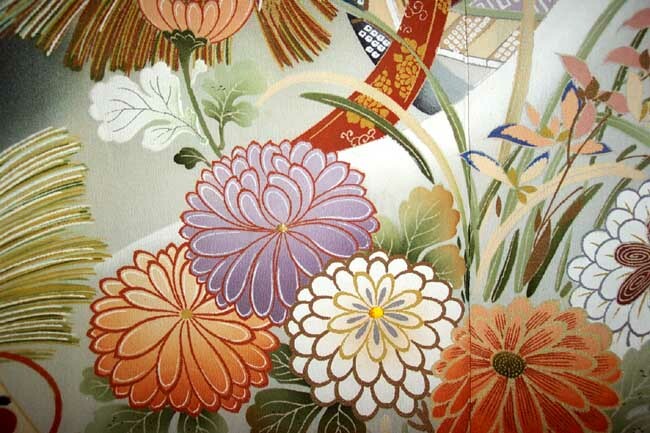 The lightweight silk for this formal kimono is ornately painted in a motif of Imperial Carts, chrysanthemums, fans and pineboughs. In ancient Japan the cart was associated with the royal family. 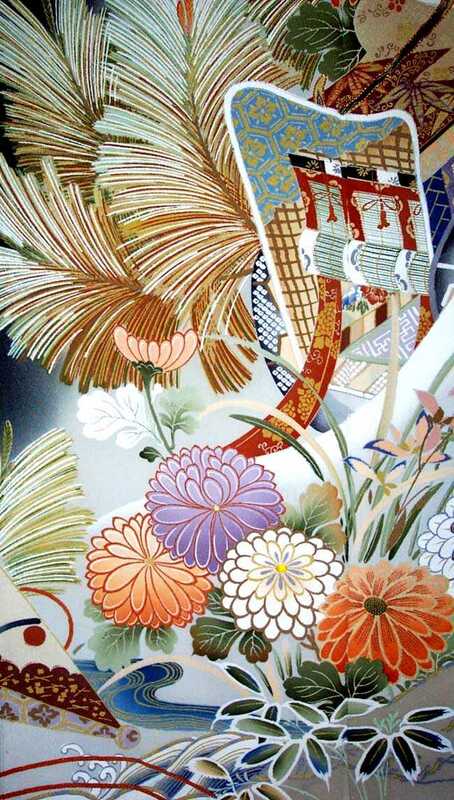 It is a favorite design motif and is used extensively in textile decoration. The design is meant to evoke a feeling of opulence and status. Please notice the coloration in this ryozuma or mirror image hem. 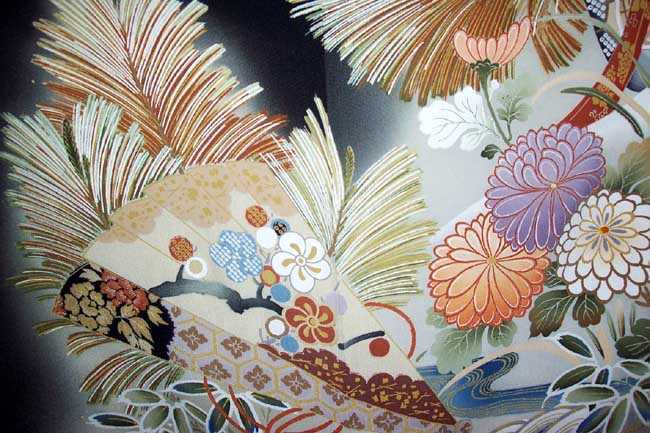 The design is entirely hand painted in the yuzen technique. 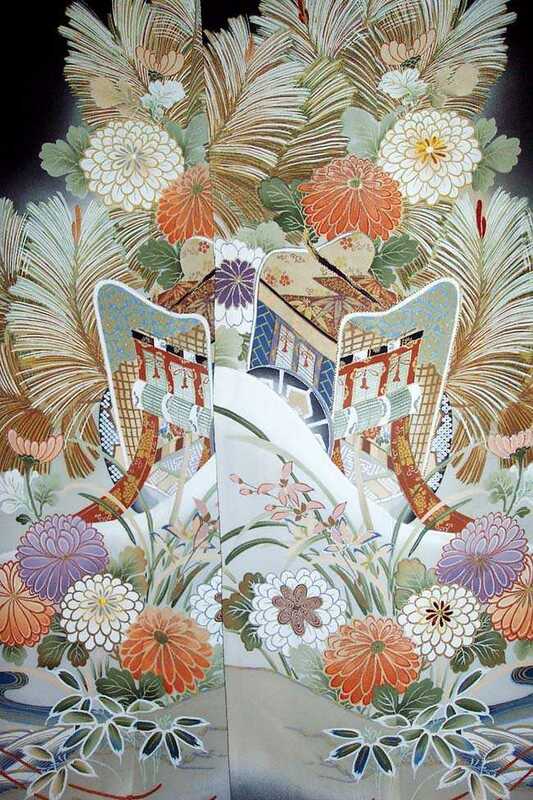 The montsuki is a traditional crested wedding kimono. 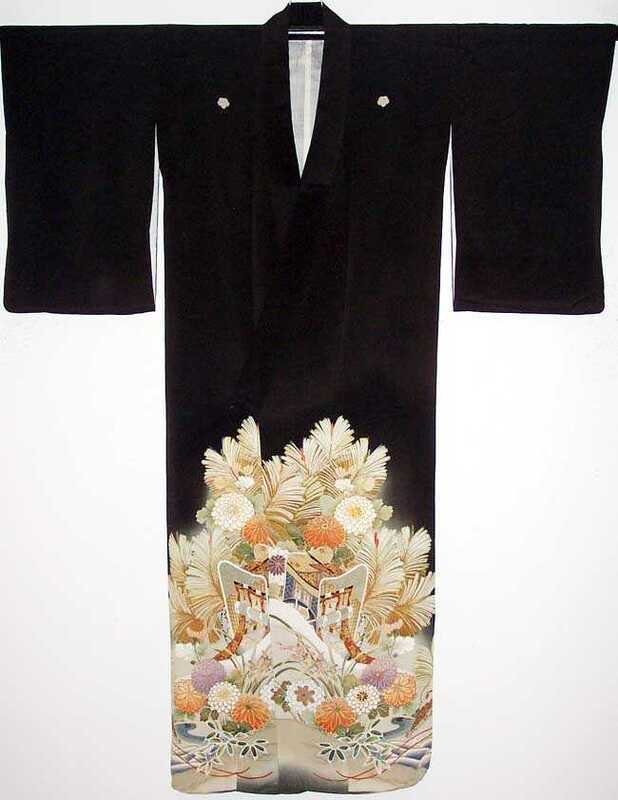 The hem is decorated in a free hand yuzen design. The monsuki is a traditional wedding gown of the era. After the wedding the monsuki’s sleeves were shortened making the gown a tomesode. The tomesode is reserved for formal dress occasions only. The bodice is lined in sheer white silk and the hem is self lined. 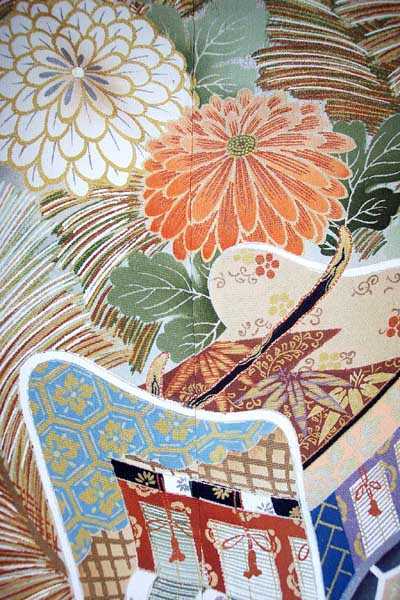 The hand painted decoration is repeated on the inside of the hem as well as the outside. The gown has five mon (family crest) in the ivy motif. The formal kimono has some discoloration. The black has faded slightly in a couple of areas. The lining also has some stains that do not show on the outside. 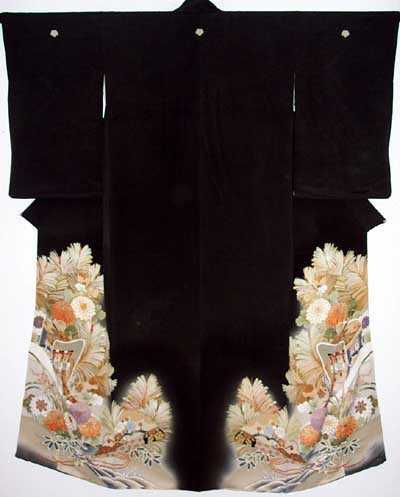 Kimono Dimensions 49 inches wide from sleeve tip to sleeve tip x 61 inches long from shoulder to hem. The sleeves are 23 inches long.